Can You Cook Grits in the Oven? What Are Hominy & Grits? Grits can be enjoyed on their own, but they are typically served with eggs in Southern breakfasts. 2 Can You Cook Grits in the Oven? Hominy grits is an expression strongly associated with the U.S. South and Southern cooking in general, though it is often shortened to just "grits." Hominy refers to the type of grain that is used to make traditional grits, though grits can be made with any of several types of grain. Grits are usually served as a side dish, in much the same way that hash browns are served with Western breakfasts, but grits can also be enjoyed on their own with a little milk and honey. Hominy is nothing more than the kernel of the corn after the germ and hull have been stripped and the kernel has been dried. Hominy was first used by Native Americans thousands of years ago and was among the first foods presented to European colonists. Hominy was taken from the Powhatan word for "maize." The dried kernel can be ground into coarse, medium or fine grains, though grits tend to be coarsely ground grains. The grains are then simmered with water or milk until a thick cornmeal-like consistency is reached. Grits can be served plain alongside eggs, sausage, bacon, steak and any other breakfast staple. However, grits can also be served with gravy or milk and/or honey, and even cooked with cheese or garlic to enliven their flavor. Grits are commonly served in Southern restaurants as a standard side dish, though restaurants across the country serve grits as a side item available upon request. Grits can be baked into casseroles as well as served as a starchy complement to shrimp or other Southern entrees in much the same way that rice or pasta might be served elsewhere. Though true Southerners may blanch at the idea of using rice or oats to make grits, the truth is that grits can be made from any dried grain kernel. 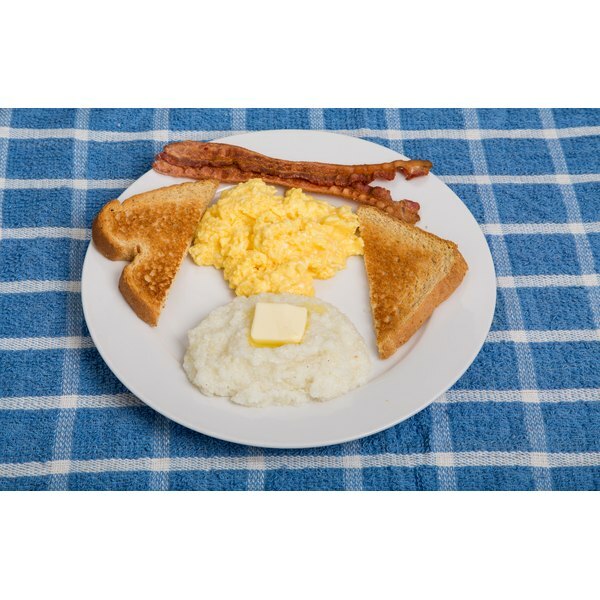 Those diehard grits aficionados would also object to eating grits as their own dish, relying instead on eggs, gravy, sausage and other complements to help the grits stand out on a Southern breakfast plate. One of the ways to capture the flavor of hominy is to use it in Mexican cuisine and soups. Additionally, hominy is sometimes used as animal feed. It is high in iron and relatively low in calories depending on how it's being served. Hominy grits, by themselves, are unlikely to be eaten plain. 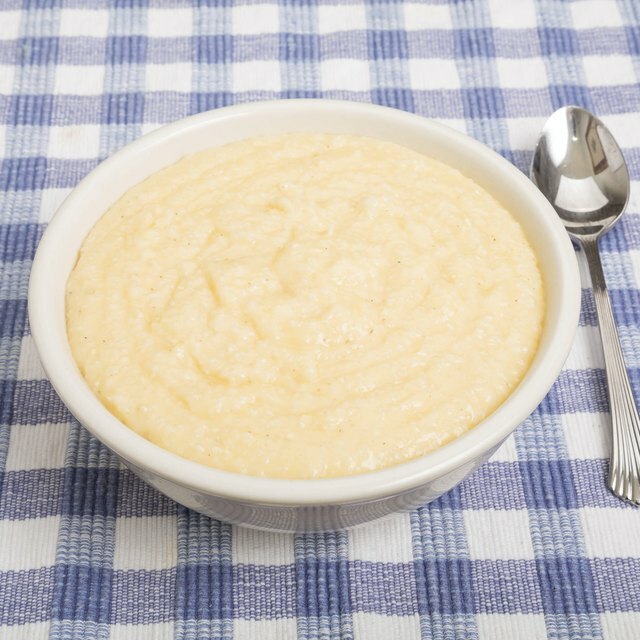 In the Southwest, grits are called "posoloe." OChef.com: What the Heck are Grits and Why?